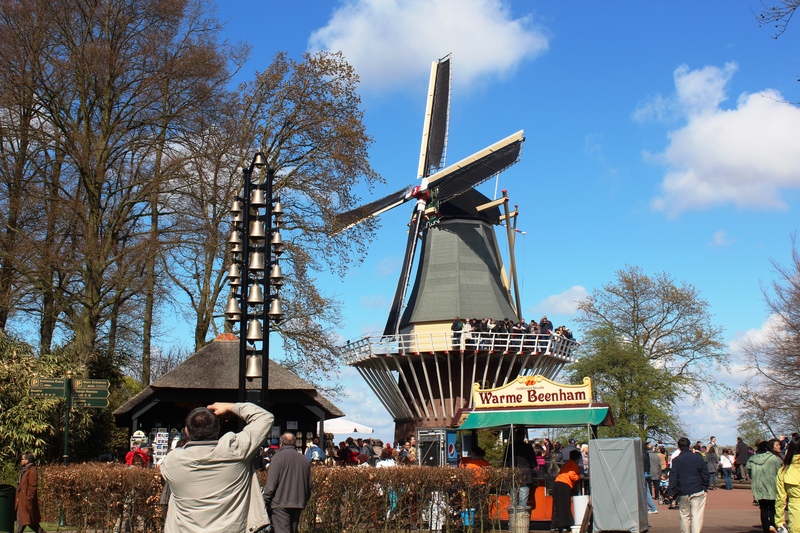 This is the continuation of my previous post on Tulip Festival in Keukenhof, The Netherlands. We reached Keukenhof on a Friday night, attended the flower parade on Saturday morning, then in the afternoon we headed for the flower garden in Keukenhof. Although it was raining in the morning, afternoon turned out to be a quite nice one to enjoy this huge garden. We spent few hours in the garden, then took a boat tour in the canals around the tulip fields. General publics are not allowed to roam around in the flower fields (although we saw bunch of people walking, taking pictures there), so boat tour is the only option to try to get close to the fields. 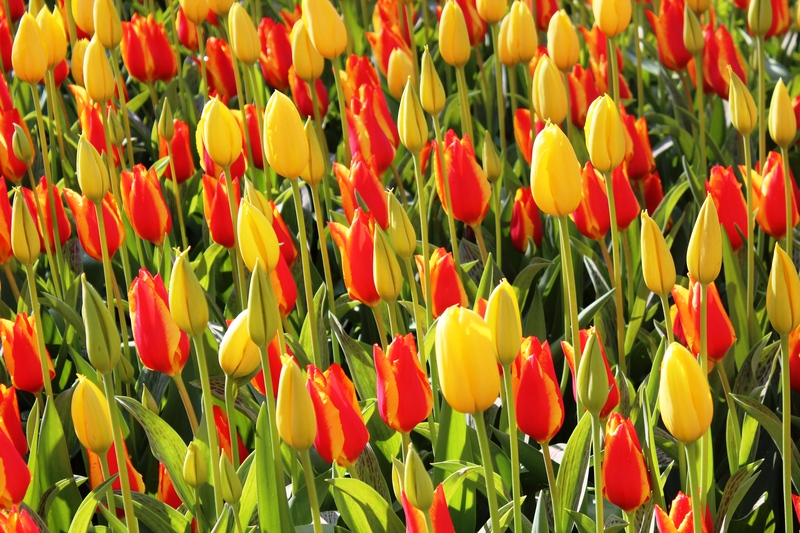 Without any doubt, Keukenhof is the capital of tulip (although these tulip bulbs originally came from Turkey few centuries ago). We saw miles after miles of tulip, daffodil, and hyacinth fields outside the main garden. It is the place to see spring blossom. The theme of this year was “Poland: The Heart of Europe“. More than seven million flowers make up this garden. Every corner has surprises waiting for you and to inspire you. 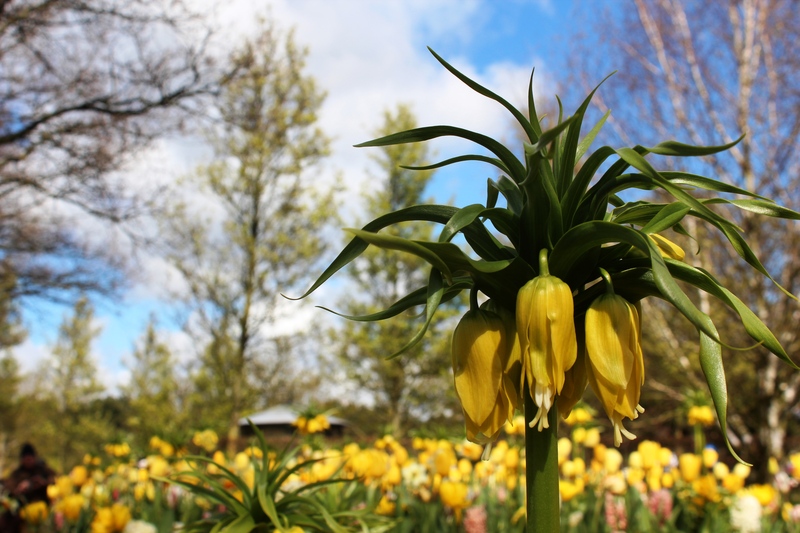 The garden does not ONLY display tulips. 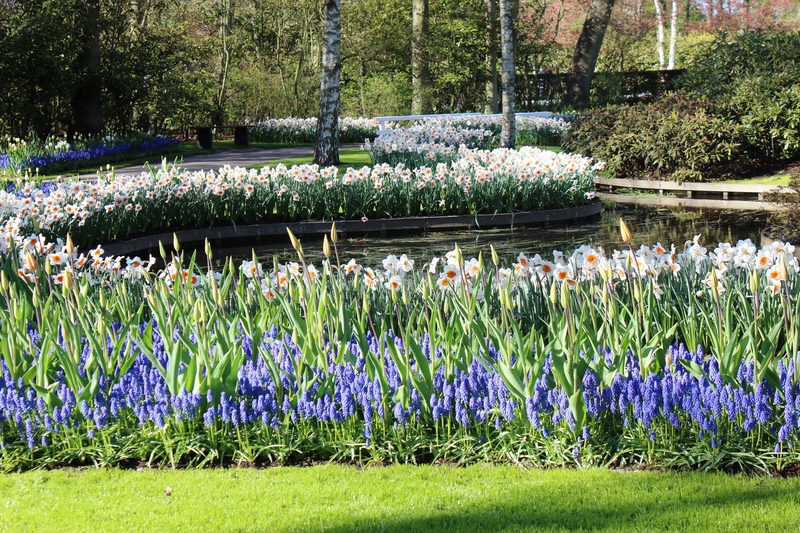 It is decorated with different colors of daffodils and hyacinths, along with other kinds of flowers. 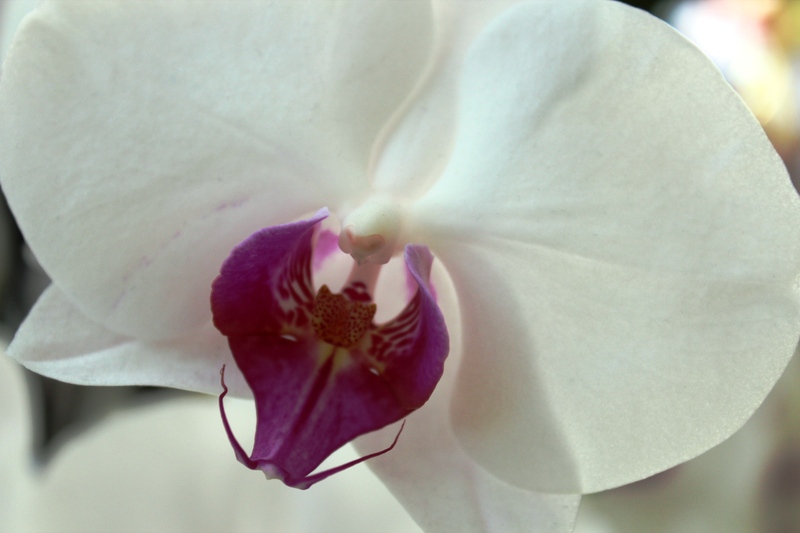 There are some special indoor houses that display real works of art with flowers like orchids and other exotic flowers. The shades of colors and the shapes of the petals of these flowers are endless. I tried my best to capture these beauties within my capabilities, but you really have to see them in real life to appreciate the hard works that gardeners/designers put into making this garden the ultimate place to enjoy spring. 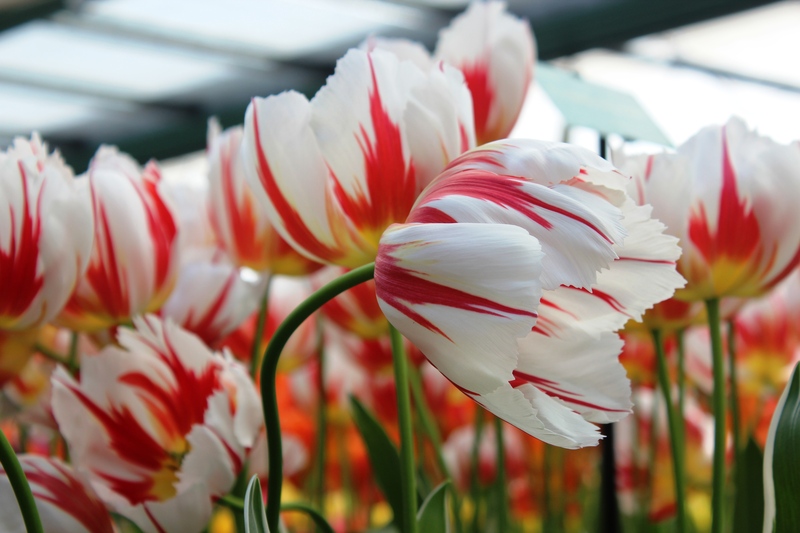 I love the red and white tulips. I hope to fill my yard with various colors as the years progress. 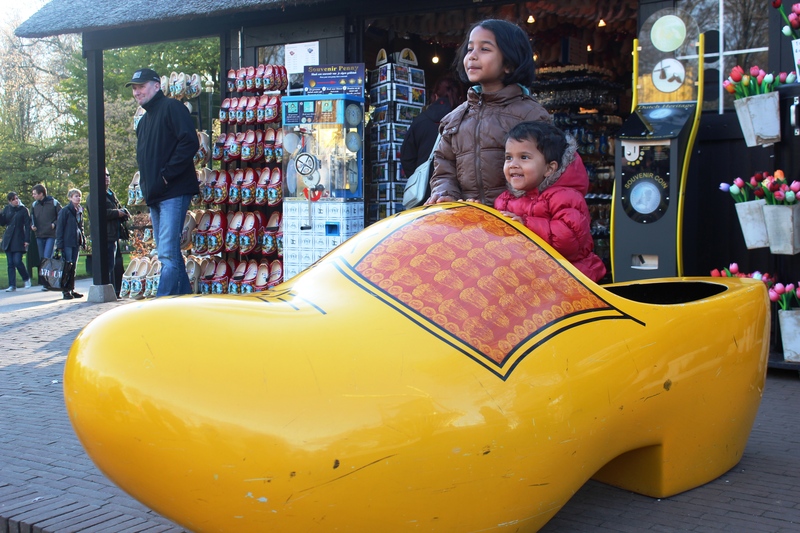 Thanks for the pingback–love your pictures of Keukenhof *and* your gorgeous little girls! What amazing flower displays! And I just love the shoe! The gardens had to be incredibly beautiful.